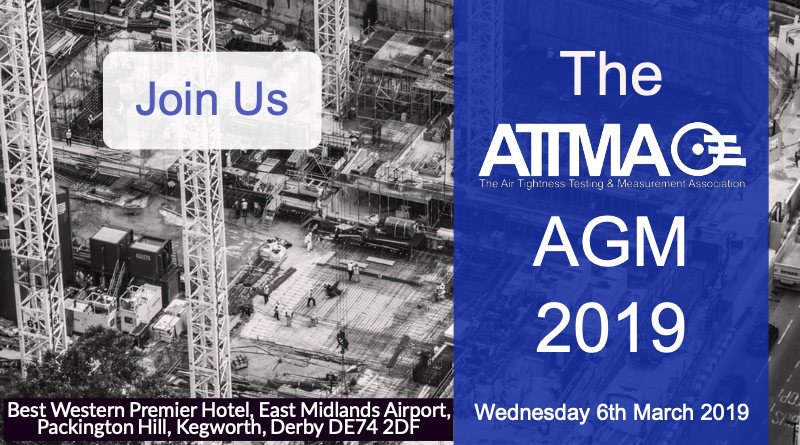 The Air Tightness Testing & Measurement Association will be holding its Annual General Meeting on the 6th March 2019 at the Best Western Premier Hotel, East Midlands Airport, Packington Hill, Kegworth, Derby DE74 2DF. ATTMA has invited 3 speakers to the event to keep us up to date with the latest findings in the industry and, as usual, ATTMA will be providing dinner and drinks to toast the event. ATTMA will this year not be charging for the event, opening the event to all companies conducting air & sound testing.